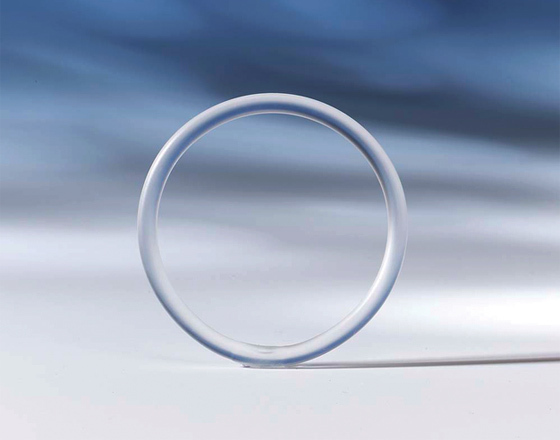 A study looking at the safety of non-oral contraceptives has concluded that MSD's vaginal ring product NuvaRing carries a higher risk of blood clots than combined oral contraceptives (COCs) based on oestrogens and progestins. The meta-analysis of published studies found that users of vaginal rings and transdermal patches had around a 6- to 8-fold increased risk of venous thromboembolism (VTE) compared with non-users of hormonal contraception. The risk was slightly increased among women using subcutaneous implants based on progestins alone, and no increase was observed in those using progestin-only intrauterine devices. Moreover, "the vaginal ring conferred a 90 per cent higher risk of VTE than did COCs containing [the progestin] levonorgestrel," according to the authors of the study, which is published in the British Medical Journal. They note this increase in risk is equivalent to that seen with COCs using third- and fourth-generation progestins, notably desogestrel, gestodene and drospirenone, which have had warnings added to their labelling that use can increase the risk of blood clots. COCs with older progestins such as levonorgestrel or norgestimate are known to confer half the risk of VTE than those based on later-generation drugs, according to the paper. NuvaRing combines ethinyl estradiol with a third-generation progestin called etonogestrel. MSD said that the findings of the study were compromised because the authors did not "adjust for family history of venous thrombosis, body weight, smoking, and the duration of current and past hormonal contraceptive use, all factors known to be associated with an increased risk of venous thrombosis". The company also said the findings of the retrospective analysis run counter to its own prospective safety study - called TASC - which found no increase in the risk of VTEs compared to combined oral contraceptives. "MSD believes that NuvaRing is an important treatment option for appropriate patients," said the firm in an emailed statement. "The company is confident in the efficacy and safety profiles of NuvaRing, which are described in our product licence." NuvaRing's summary of product characteristics (SPC) already includes a discussion of the risk of VTE with oral contraceptives, according to MSD. The product brought in revenues of $559m last year. Nevertheless, MSD (known as Merck & Co in the US) is fighting hundreds of lawsuits in American courts over allegations of harm caused by NuvaRing. Other companies have faced similar litigation. In 2008 Johnson & Johnson settled in a case involving its oral contraceptive patch product Ortho Evra, which remains on the market but is not actively promoted. The value of that settlement was reported to be upwards of $70m.